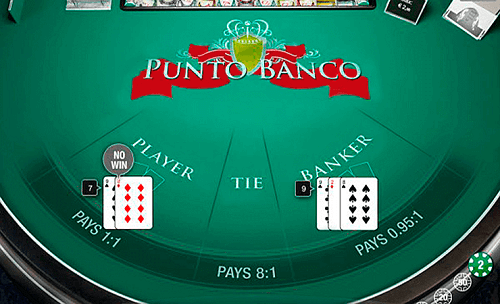 Also known as Tableau in other parts of the world, punto banco baccarat is a popular version of baccarat in South Africa. Punto means ‘player’ and banco means ‘banker’. This is in reference to the hands which are dealt, to the player and to the banker. Primarily a game of chance, this version of baccarat originates from the United States and has found a home in SA. Usually, there are six or eight decks in the dealing shoe from which the cards are dealt. It’s common for eight decks to be used. 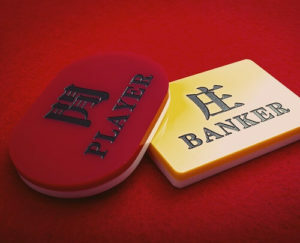 The player and the banker are given two cards each. If neither the player or the banker gets an eight or nine, a third card is given to the player. Depending on the value of the player’s third card, the banker may get another one as well. The game can end with either the banker winning, the player winning, or in a tie. Punto banco baccarat also has its own variations. Some include Super 6, or Punto 2000, Midi and Mini Punto, and EZ Baccarat. The house edge (how much money the casino makes off the game) differs in these variants so make sure you know which one you’re playing. Here, the player gets even money for winning banker bets. If the banker wins with a six, the payout is half of the bet. In Midi Punto, the table is smaller and one dealer operates it. Likewise, in Mini Punto the table is even smaller. Also, the Mini version has lower betting limits setting the stakes lower. Players get an even money payout on a winning banker bet. However, the player doesn’t get one if the banker’s winning total is seven after they have been given a third card. There are also extra bet options called Dragon 7 and Panda 8 which are given to the player. The Dragon 7 bey pays 40 to one with a house edge of 7.61%. This bet is on the banker getting a total of seven with three cards. The Panda 8 bet pays 25 to 1 with a higher house edge of 10.19%. It’s a bet on the player getting eight points with three cards. Learn more about chemin de fer baccarat, another version of this popular table game.